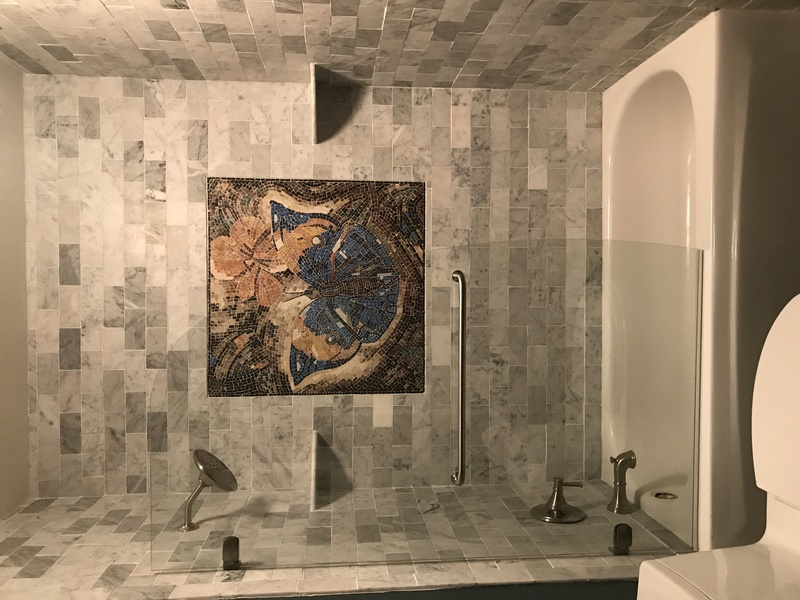 A beautiful mosaic artwork portraying a butterfly created using natural hand-cut tiles of vibrant colors for a dynamic feel to any indoor or outdoor space. Customization for size or border is available to give the perfect fit you need. Do you like to see how Marble Mosaic Designs - Butterfly looks on your wall?